Saffron eye care, a leicester based optician were looking to upgrade their website was outdated and developed by our sister company 8 years ago. The new website needed to simple to use and mobile friendly. 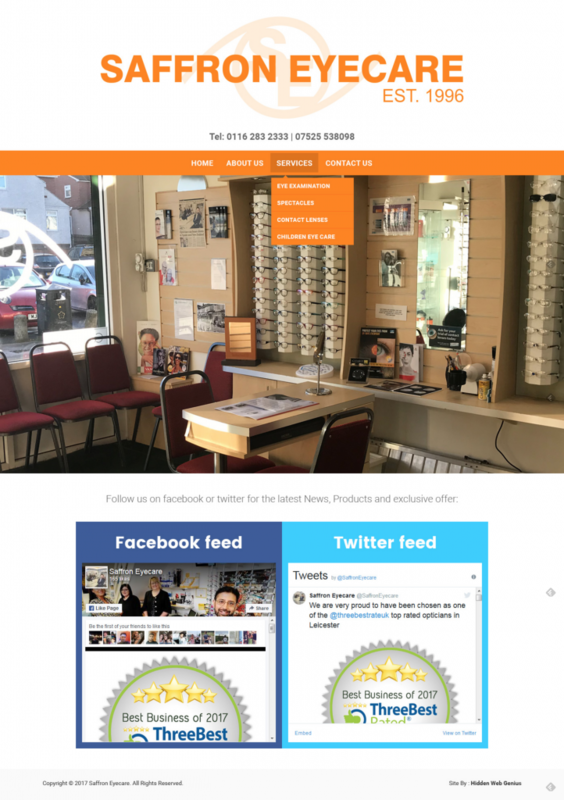 Our project manager worked with the staff at Saffron Eye care to come up with a simple to use and a very clean website which can be accessible on all devices.